Well-traveled bibliophiles know that books can sometimes be found in unusual places, like barges, abandoned sheds, and decommissioned postal trains. In northeastern Connecticut, you can find free books in a place where you'd normally just expect to find a hot meal. The Traveler restaurant lets customers take home up to three free books to read after finishing their meal, the Hartford Courant reports. 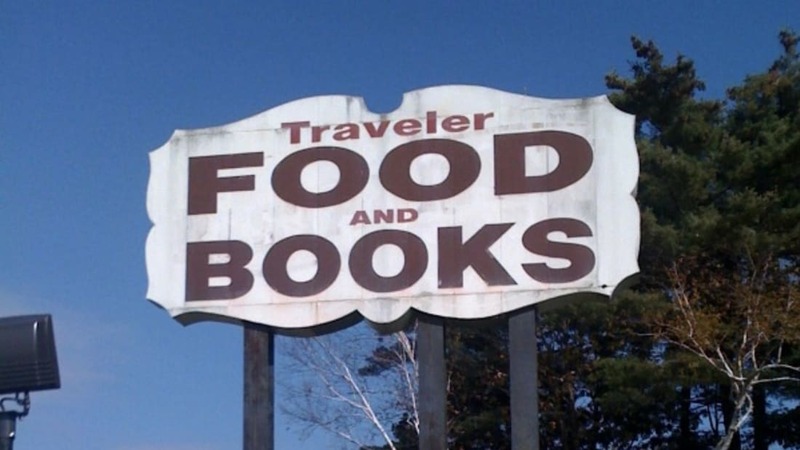 Traveler Food and Books, an unassuming diner off I-84 in Union, Connecticut, gives away roughly 100,000 free books to diners each year. The restaurant's original owner, Marty Doyle, started adding books to the "menu" in the mid-1980s, when his personal library became too big to fit in his home. He kept his collection under control by bringing excess books to the Traveler and offering them to any guests looking for new reading material. The restaurant has been owned by Karen and Art Murdock since 1993, and today books are donated by libraries and community groups in Connecticut, Massachusetts, and Rhode Island. Visitors get to pick out up to three free books from the restaurant's collection, either while waiting for their meal or on their way out the door. And if that isn't enough for them, there's a used bookstore downstairs called The Book Cellar, where they can browse and purchase additional titles. Small-town restaurants aren't the only establishments giving out books with meals. Earlier this year, McDonald's in New Zealand replaced Happy Meal toys with excerpts from Roald Dahl novels.